Alisa holds a DPhil from the University of Oxford, an MA from the London School of Economics and a BA from the University of Michigan, Ann Arbor. Her research focuses on the comparative development of war cultures in twentieth century Europe and the United States, looking at how evolving literary networks – utilizing different forms of media and technology – influence political discourses and perceptions of violence. She has worked as a lecturer and in research policy and management. 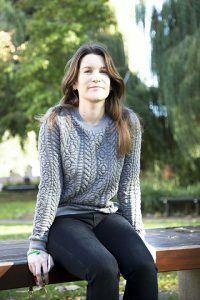 She joined King’s in October 2016.